eBook des Monats: O'Reilly: Expertise in UX design + design for the IoT + data-informed design and more - Open Text Web Solutions Usergroup e.V. The results of O’Reilly’s second annual Design Salary Survey are in. Conducted last autumn, the anonymous online survey attracted more than 1,000 designers, UX/UI specialists, and others in the design space in 48 countries throughout the world. This in-depth report presents complete survey results, including compensation, specific roles and tasks, company size, organizational processes, and tools used. What’s the one major hurdle in the design of wearable technologies? How do we create technologies to maximize happiness and well-being? With O’Reilly's collection of our best writing and materials, you’ll take a trip to today’s design frontier, where innovators are creating voice user interfaces, and building sustainable websites and apps that consume far less energy. In this ebook, author Kharis O’Connell guides you through the new realm of mixed reality. You’ll discover the difference between designing for arenas rather than web or mobile screen rectangles, and examine some of the supporting tools, technologies, and techniques that will enable you to make the transition. Has design finally arrived? Venture capital firms with multimillion-dollar portfolios have recently begun to add design partners to work with startups during their formative stages. In this ebook, Irene Au--Design Partner at Khosla Ventures--describes what this emerging role means to designers, investors, and entrepreneurs. This O’Reilly ebook not only introduces you to contemporary machine learning systems, but also provides a conceptual framework to help you integrate machine-learning capabilities into your user-facing designs. Prototyping is a necessary skill in all areas of design, especially for startups, entrepreneurs, in-house designers, and freelancers. Author Kathryn McElroy explains various prototyping methods, from fast and dirty to high fidelity and refined, and reveals ways to test your prototypes with users. How can today's growing cities use technology and design to improve their infrastructure, management, and quality of life? In this O'Reilly ebook, Paul McConnell and Mike Clare from Intersection review how connected services and platforms are redefining how cities function, and how people interact within them. This past autumn, O’Reilly Media for the first time conducted an anonymous online survey of salaries of designers, UX/UI specialists, and others in the design space. This in-depth ebook presents complete survey results which demonstrate how variables such as job title, location, use of specific tools, and the types of tasks performed affect salary and other compensation. The survey attracted more than 300 designers, managers, and directors from 25 countries. Most of them work on web and mobile products or connected devices in a wide variety of industries. 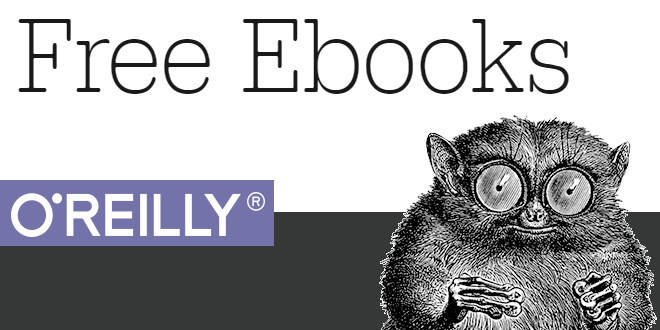 With this O’Reilly ebook, you’ll examine the subject of design with an ethical lens, and focus specifically on how UX, interaction, graphic, and visual product designers can affect a user’s time, mood, and trust. Author David Hindman, Interaction Design Director at Fjord San Francisco, investigates the topic of respectful design by providing examples of the challenges and frameworks to help inform considerate design solutions. Unannounced and unmarked, blocks turn up all over Ruby programs. Their use ranges from some of Ruby’s most basic structures, such as loops, to some of its most sophisticated tricks. Similar to closures or lambdas in other languages, blocks enable some of Ruby’s vaunted efficiency. Blocks even allow other people to write some of the code you use. Keyboards and input screens still work for mobile devices, but they just might disappear for some wearables and IoT devices. How viable is voice interface as an alternative? This O’Reilly ebook looks into recent advances in computing power and natural language processing (NLP), as well as the skills necessary to create intuitive, discoverable voice interfaces that users can navigate with ease. Learning the latest methodologies, tools, and techniques is critical for IoT design, whether you're involved in environmental monitoring, building automation, industrial equipment, remote health monitoring devices, or an array of other IoT applications. The O'Reilly Design Library provides experienced designers with the knowledge and guidance you need to build your skillset and stay current with the latest trends. This free sampler gets you started. With a collection of chapters from the library’s published and forthcoming books, you’ll discover how to evaluate design talent, interpret user pain, hold meaningful design critiques, and more. Industrial design and app UI are the most visible elements of connected product design. But while they are important, they’re only part of the picture. You could create a beautiful app and a stunning piece of hardware, and users could still have a poor experience if the system components don’t work together coherently. In this ebook, UX and product consultant Claire Rowland introduces a framework for understanding the UX of consumer IoT products. Learning the latest methodologies, tools, and techniques is critical for IoT design, whether you're involved in environmental monitoring, building automation, industrial equipment, remote health monitoring devices, or an array of other IoT applications. The O'Reilly Design Library provides experienced designers with the knowledge and guidance you need to build your skillset and stay current with the latest trends. As a designer, you know that continuously learning about the latest methodologies, tools, and techniques is critical to your success. O’Reilly Design books provide experienced designers with the knowledge and guidance to continue to build on your skillset. Whether you're interested in designing for Internet of Things, adopting Lean UX, or understanding the principles for creating user experiences in a multi-device ecosystem, there is something in here for you. Designers of all stripes today are seeking social and civic projects that have a mission to serve the greater good at their core. Part of this growing trend stems from the desire to use skills for their highest potential. But the real payoff is the ability to use new design tools and approaches to help solve usability and communication issues in the social space at scale. The need to understand people lies at the core of any product design, and currently there are two standard ways to measure that understanding: big datasets and small research studies--aka 'thick data.' Most organizations favor big over thick, but in doing so they miss the larger picture. In this ebook, author Pamela Pavliscak outlines a way to use data of all kinds to understand the relationship between people and technology.